Throughout church history there have been eras where the church has abandoned God’s prescribed emphasis for corporate worship. The consequences have been disastrous! The eras of neglect have often led to the death of biblical Christianity. All too often, after a time when the gospel has been preached, churches established, and Christianity flourishes, proud pastors, who think they know better than God, begin to neglect the preaching and teaching of sound doctrine. Congregations once healthy, holy, evangelistic, and discerning, begin to experience spiritual decline. Most rarely recover, but some, by the grace of God, experience reformation and revival when sound doctrine is once again preached and taught. It is as sure as the daily sunrise that any church neglecting the preaching and teaching of sound doctrine begins to shrivel and die. Eras that have neglected the faithful preaching and teaching of sound doctrine have left in their wake decaying church buildings without congregations or congregations composed of religious, but spiritually dead and unholy people. I believe we live in just such an era. We are told that in the latter days, the days immediately preceding the second coming of Christ, a great apostasy and abrogation of God’s instruction to local churches will occur, namely, the neglect of preaching and teaching sound doctrine (Lk. 17:26-30; II Thess. 2:1-4; II Tim. 3:1-5; 4:3-4). That apostasy has happened or is continuing to happen within churches all over the world today. It is not that people stop being religious or going to church. The Bible says they “hold to a form of godliness but deny its power” (II Tim. 3:5). Churches are going apostate inside their comfortable church buildings! This is the sad state of many churches today. We are experiencing what the Apostle Paul warned would happen. Right on the heels of the most forceful, stacked up command in the New Testament to “preach the Word” (II Tim. 4:1-2), Paul warns of a future time when men “will not endure sound doctrine.” Instead, they will prefer to hear pleasant things, fascinating things, entertaining things, ear-tickling things, but they won’t tolerate having their sins confronted nor their lusts subdued! Therefore, they will “seek out teachers in accordance with their own lusts” (II Tim. 4:3). As a result of rejecting the truth and sound doctrine in order to hear preaching that conforms to their own carnal desires, they lose discernment and “turn aside to myths” (II Tim. 4:4). This is the state that a vast number of so called “churches” in the world find themselves in today. Thankfully, there is a cure! Many pastors seem to have no clue about the emphasis that the Bible places on the preaching and teaching of God’s Word and sound doctrine. “Yes, yes,” they might readily agree, “we are to preach and teach sound doctrine.” Then comes a series of excuses, rationalizations, and justifications why they are not preaching and teaching sound doctrine, which they use like the handle of a toilet to flush down the drain the biblical admonitions to preach and teach sound doctrine. “Yes, but remember, doctrine is divisive!” “You can’t expect to grow your church on a steady diet of doctrine, people won’t tolerate it! It will empty the church!” “Yes, sound doctrine is to be preached and taught but you can have too much of a good thing!” In the minds of many pastors, preaching and teaching sound doctrine is simply one of many options preachers can take or leave. Sadly, most pastors aren’t even asking the vitally important question, “What does the Bible say?” Instead, they let worldly pragmatism, popular trends, and fads in the church tell them what to do. These broken compasses are ever changing and never point to the true north of God’s will for the church. Many pastors seem to be oblivious to the fact that much of what they are emphasizing in “their churches” are never or barely referred to in the Bible. The failure to seriously consider what God has and hasn’t said to pastors about what Christ says must be emphasized in “His local churches” has led to the misdirection, malnutrition, lack of discernment, decreasing holiness, and death of many local congregations in the world today. Praise God that there is a simple solution screaming from the pages of Scripture to all who are willing to listen. The pastoral epistles (I & II Timothy, Titus) were written to pastors of churches first and foremost, but also to their congregations, explaining the priorities of a pastor in regard to the flock of God allotted to his charge (Acts 20:28). A thematic verse that applies to all three pastoral epistles is found in I Tim. 3:15, “but in case I am delayed, I write so that you will know how one ought to conduct himself in the household of God, which is the church of the living God, the pillar and support of the truth.” Paul writes to Timothy and Titus, pastors of local churches, telling them what Jesus Christ wants emphasized in His local churches. Notice, even within the theme verse of I Timothy, the church is described as “the pillar and support of the truth.” The church is to uphold, support, come under the Word of God and sound doctrine by preaching, teaching, and living the truth. In Acts 20:17-35 Paul, while he is staying at Miletus, called to himself the elders from the church of Ephesus. Ephesus is where Timothy was pastoring. Paul wanted to remind the Ephesian elders what he emphasized during his three year stay with them, namely the preaching and teaching of the Word of God and sound doctrine. Is your congregation suffering? Is your membership declining? Is your congregation growing, but your sheep unholy and worldly? Are you concerned about the lack of converts? When was the last time you had a baptism? Are young people disappearing from your fellowship? Take heart! Be encouraged! Though there is no “magic bullet” to cure what ails your congregation, there is a biblical one! The purpose of this paper is to help you consider what makes every healthy, God glorifying Church, healthy and God glorifying. In most churches God’s spiritual panacea is currently being overlooked or ignored. Below I am going to quickly survey and briefly summarize terms and texts that emphasize the priority of preaching and teaching sound doctrine in local churches and then make, what for many pastors and churches, will be shocking and even condemning conclusions. Yet, take courage and keep reading! I have given brief definitions for the first time each word or phrase is used that relates to sound doctrine in the texts being considered. The commandment—A phrase used to describe the entire body of Christian teaching, I Tim. 1:1; 1:18; 6:14. Instruction—Instruction in sound doctrine, I Tim. 1:5; 2:11. The faith—“The faith” and its synonyms refer to the entire body of sound doctrine contained in the Christian faith, it is what we believe in as Christians, (sincere faith) I Tim. 1:2; 1:5; (“these things,” referring to “the faith”) 1:6; 1:19; 2:7; (mystery of faith) 3:9; 3:13; 4:1; 4:6; 5:8; 6:10; (“fight the good fight of faith”) 6:12; 6:21, all references either to what is believed in, sound doctrine, or the faith that lays hold of sound doctrine. The law—A reference to God’s law or God’s Word, the source of sound doctrine, I Tim. 1:7-9. Teach/taught/teaching—Various usages of the word teaching, which relates to sound doctrine, (sound) I Tim. 1:10; (negatively, not to blaspheme, which implies positive instruction and refutation in sound doctrine) I Tim. 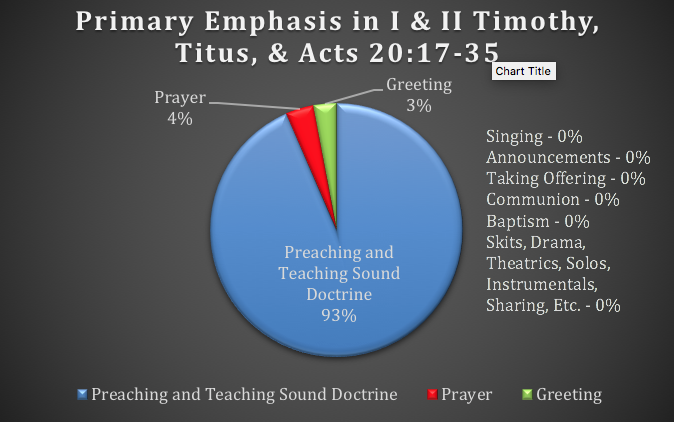 1:20; (women not teaching men) 2:12; (“able to teach,” implied teach sound doctrine) I Tim. 3:2; 4:11; (“your” teaching of Scripture) 4:16; 5:17; 6:2. The gospel—Depending on the context, the gospel is either a message of good news about the doctrine of Jesus Christ crucified and resurrected from the dead, or the entire body of Christian teaching which emphasizes the gospel of Jesus Christ I Tim. 1:11. The testimony—Another synonym to the doctrine of Christianity and the gospel I Tim. 2:6. Truth—The entire corpus of biblical doctrine, I Tim. 2:4; 2:7; 3:15; 4:3; 6:5. Confession—The doctrine Christians proclaim and believe, (common) I Tim. 3:16; (good) 6:12-13. The mystery—A doctrinal truth never revealed before or revealed before to the extent that it is now being revealed. I Tim. 3:9, 16. Doctrine –Literally, teaching, whatever the Bible teaches is doctrine, (negatively, not to teach strange doctrines, myths, genealogies, which implies refutation and instruction in sound doctrine) I Tim. 1:3; (negatively “doctrines of demons”) I Tim. 4:1; (sound) 4:6; (“these things” referring back to sound doctrine) 4:11; (“prescribe these things,” a reference to sound doctrine) I Tim. 5:7; (“these”, sound doctrine and teaching of Scripture) 5:21; 6:1; (“preach,” sound doctrine/Scriptures) I Tim. 5:17; 6:2; (negatively “different doctrine”) 6:3; (conforming to godliness) 6:3; (positively, in sound doctrine) 6:17-18; (guard sound doctrine entrusted) I Tim. 6:20. The Word of God –A reference to the entire body of inspired revelation and sound doctrine, the Bible, the Holy Scriptures, I Tim. 4:5; (“these things” referring to the Word of God) 4:6. Scripture –Another synonym to the Bible, the Word of God, containing the doctrine we are to know, believe, and obey (reading, exhortation and teaching of Scripture) I Tim. 4:13; (“these things” and “them” referring to doctrines of Scripture) 4:15-16; (authoritative source for sound doctrine) 5:18. Sound Words –Another synonym for the Word of God and sound doctrine (synonym for sound teaching/doctrine) I Tim. 6:3. The eternal life –A reference to salvation which comes through the knowledge and faith in the truth, sound doctrine, and the gospel I Tim. 6:12. The promise of eternal life –Another reference to the Word of God and sound doctrine, specifically the gospel and God’s many promises given to those who believe the gospel II Tim. 1:1. Doctrine –(“kindle afresh the gift of God” a reference to Timothy’s need to preach sound doctrine) II Tim. 1:6; (“the things,” referring to sound doctrine, that were to be taught) 2:2; (“remind them” and “solemnly charge,” implied in sound doctrine to refute fruitless wrangling) 2:14; (“refuse foolish and ignorant speculations,” that “produce quarrels,” implied teach sound doctrine which doesn’t) 2:23; (“able to teach,” implied sound doctrine) 2:24; (“correcting those in opposition,” implied, with sound doctrine) 2:25; (“continue in the things you have learned and become convinced of,” implied, sound doctrine) 3:14; (“sound”) 4:3; (“fulfill your ministry,” implied, teaching and preaching sound doctrine) 4:5; (“I have fought the good fight,” implied, the fight of preaching and teaching sound doctrine) 4:7. Testimony of our Lord –Another reference to the Word of God and sound doctrine, II Tim. 1:8. The gospel –II Tim. 1:8; 1:10; (preacher, Apostle, and teacher of the gospel) 1:11; (“my gospel”) 2:8. Sound words –II Tim. 1:13. The faith –II Tim. 1:13; 2:18; 3:8; 3:10; 4:7. The treasure –Another synonym of sound doctrine, the treasure of the gospel and God’s Word (to be guarded, since being entrusted) II Tim. 1:14. The Word –Shortened version of the Word of God containing sound doctrine for salvation through the gospel and Christian living, (“Word of God”) II Tim. 2:9; (diligent, approved, unashamed, accurate workman in interpreting Scripture) 2:15; (“Preach the Word” and “reprove, rebuke, exhort,” in/with the Word) 4:2. The truth –Another synonym to the Word of God and sound doctrine, II Tim. 2:18; 2:25; 3:7-8; 4:4. The firm foundation of God –Another reference to sound doctrine and the truth of God’s Word which is the firm foundation upon which we rest our faith II Tim. 2:19. Teaching –II Tim. 3:10; 4:15. Sacred writings –Another synonym for the Word of God containing sound doctrine II Tim. 3:15. The wisdom that leads to salvation –Another reference to the gospel and sound doctrine that leads to salvation, II Tim. 3:15. Scripture -- II Tim. 3:16. The proclamation –What the preacher is to proclaim the whole counsel of God, the Word of God, everything profitable, sound doctrine, II Tim. 4:17. The faith –Titus 1:1; 1:4; 1:13; 2:2; 3:15. The truth –Titus 1:1; 1:14. Hope of eternal life –A reference to the gospel and promises of God contained in sound doctrine, Titus 1:2. The Word/His Word/Word of God –Titus 1:3; 1:9; 2:5. Doctrine –Titus 1:9; (“refute those who contradict,” implied, with sound doctrine) 1:9; (“reprove them severely,” implied, with sound doctrine) 1:13; 2:1; (“teaching what is good,” implied, sound doctrine) 2:3; (“purity in doctrine”) 2:7; (“the doctrine of God our Savior”) 2:10; (“the grace of God,” implied sound doctrine) 2:11; (“instructing us,” implied, in sound doctrine) 2:12; (“these things speak and exhort and reprove with all authority,” implied, sound doctrine) 2:15; (“remind them,” implied, with sound doctrine) 3:1; (“speak confidently,” implied, sound doctrine) 3:8. Doctrine --(“anything that was profitable” and “teaching you publicly,” implied, sound doctrine) Acts 17:20; (“solemnly testifying. . . repentance towards God and faith in our Lord Jesus Christ,” i.e., sound doctrine) 17:21; (“shepherd the church of God,” implied, primarily by preaching and teaching sound doctrine) 17:28; (“admonish each one with tears,” implied, in sound doctrine) 17:31. The gospel --(“testify solemnly”) Acts 17:24. Preaching the kingdom –Another synonym for preaching the gospel and sound doctrine, Acts 17:25. The whole purpose of God –Another synonym for the Word of God and sound doctrine, Acts 17:27. The Word of His grace –Another synonym for the Word of God and sound doctrine, Acts 17:32. Above I have surveyed the largest texts in the New Testament that focus on what Jesus Christ wants emphasized in local churches that desire to give Him glory and receive His blessing. If you add up all instances in the pastoral epistles and Acts 20:17-35 where preaching and teaching sound doctrine or one of its synonyms is mentioned or alluded to, there are some 130 instances! Keep in mind that all of these texts are primarily addressed to pastors, telling them what Christ wants emphasized in His church, not their church. It is Christ’s Church and since He is Lord of His Church and shed His blood to redeem His Church, He has a right to tell His under-shepherds what He wants them to emphasize in corporate worship, which is preaching and teaching sound doctrine! Consider other common activities a person might encounter during a corporate worship service in any given local church and the emphasis those activities receive in the same key texts considered above. Skits, Drama, Theatrics, Solos, Instrumentals, Sharing, etc.—Zero occurrences. Selah! Pause and mediate on the implications of what we have just learned concerning the biblical emphasis of preaching and teaching sound doctrine in the local church compared to everything else combined! Preachers! We must let Jesus Christ be Lord of His Church and humbly submit to what He clearly emphasizes in His Word! A word of caution is surely needed at this point. Just because something isn’t found in the pastoral epistles or in Acts 20:17-35 doesn’t mean it is wrong or sinful. Singing, for instance, receives no attention in the texts considered above, and very little attention in the New Testament letters to the churches. There are only nine verses that use the words “sing,” “sang,” or “song.” Two verses include quotes from the Old Testament (Rom. 15:9; Heb. 12:2), one verse where singing is used as an illustration of the biblical gift of tongues (I Cor. 14:15), three verses that record things John saw in his vision of heaven (Rev. 5:9; 14:3; 15:3). Only three texts are encouragements, declarations, or exhortations for Christians to sing (Eph. 5:19; Col. 3:16; James 5:13). Singing in the church is barely emphasized in the letters to the churches, but how many churches make singing their primary activity and focus? Granted, there are many other texts in the Bible that teach us about worshipping God through singing, like the entire book of Psalms and I and II Chronicles which were written by Ezra to train the returned exiles about true temple worship. There is only one key text in the New Testament that explains the purpose of singing in the church and that text is Col. 3:16 which tells us that corporate singing is for, “teaching and admonishing one another with psalms, hymns, and spiritual songs,” or we might say, to instruct people in sound doctrine through the songs we sing! The words of the songs we sing are to teach and admonish with sound doctrine. This is why every faithful worship leader must have a solid grasp of theology and sound doctrine so he can chose songs whose words contain sound doctrine. The key texts to pastors in the New Testament that we have examined emphasize one primary activity far more than any other by a long shot, preaching and teaching sound doctrine. Jesus wants the preaching and teaching of sound doctrine to be the primary emphasis in His churches! I call pastors, church leaders, and congregations that have wandered away from what Jesus wants emphasized in His Church, namely the preaching and teaching of sound doctrine, to humbly repent of their sin and bring forth fruit in keeping with repentance. This doesn’t mean you can never do something not mentioned in the Bible or that you must avoid doing anything emphasized only a little in Scripture. However, it does mean you must make primary what Christ requires we make primary in His Church, which is the preaching and teaching of the Word of God and sound doctrine. We must never go against the Word of God and sound doctrine in anything we do. We must never neglect what is relentlessly commanded for what is optional or never mentioned. We must turn our eyes away from the world, from church trends, from what is fashionable or popular, and look into the all sufficient Word of God and do what Jesus tells us to do. Copy I Timothy, II Timothy, Titus, and Acts 20:17-35 into a document with 3” margins to the right. Go through the text and underline or highlight everything a pastor is to do and circle or highlight with a different color everything a pastor is to be. Carefully, repeatedly, slowly, and with meditation, read and pray through the key texts we have been considering. Notice for yourself what is and isn’t emphasized. As one who will give an account, become totally convinced from the Word of God what Jesus Christ wants you to do and be as an undershepherd of His flock, which He purchased with His own blood (Acts 20:28; Heb. 13:17). Once convinced, publicly repent to your congregation for failing to shepherd them according to the Word of God, for wandering away from the truth, for whatever you need to repent of, then let them know what you have come to believe from the Word of God and what you are going to do about it. Teach and preach sound doctrine from texts carefully and meticulously studied, bringing out of each text its doctrinal implications and applications (I Tim. 4:6-16; II Tim. 2:15). 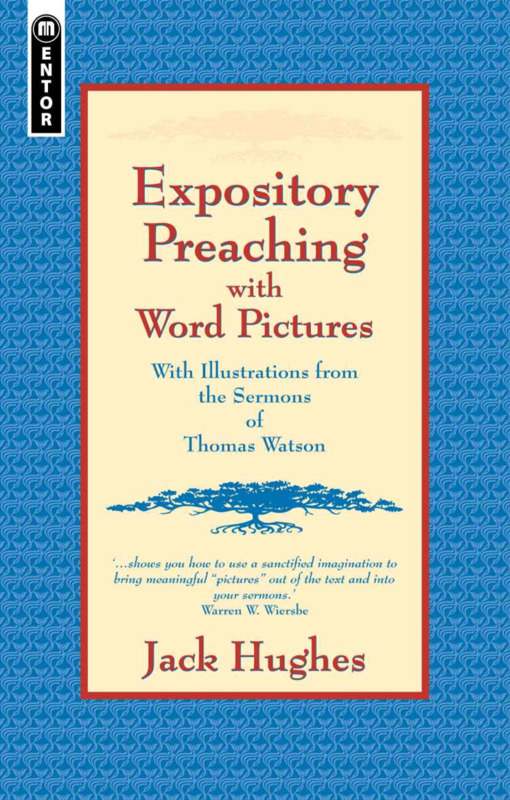 Consider preaching through a pastoral epistle, or Acts 20:17-35, or do a series preaching on key texts related to the necessity and priority of preaching and teaching sound doctrine. 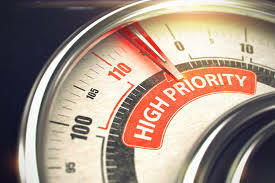 Educate your congregation to the biblical priorities for corporate worship found in the Word of God before making any radical changes. Begin to evaluate everything you do in corporate worship by the Scriptures so that sound doctrine guides and instructs all that you do. Keep teaching your congregation what the Bible says about whatever needs changed so that what you are doing conforms to the Word of God. Always teach thoroughly on specific doctrines related to things that need changed before making those changes so people aren’t confused or exasperated. Be ready for opposition to the truth. The more faithful you are to preach sound doctrine, the more opposition you can expect from Satan and worldly people. Be patient, love your flock, set your face like flint to disregard the opinion of man and have as your only desire to please the Lord and obey His Word. Anticipate objections your people might have as you prepare your sermons and address them patiently and thoroughly from the Word of God. Encourage your congregation to read good books that clearly teach sound doctrine and to stay away from the popular junk food “Christian books” that line the shelves of most Christian books stores. Encourage your sheep to read authors like J. C. Ryle, Charles Spurgeon, A. W. Pink, etc. If they are avid readers, steer them to the Puritans, Thomas Watson, Thomas Brooks, John Flavel, etc. Encourage Bible study, not book clubs in your congregation. Train men and women to accurately study the Word of God, prepare inductive Bible studies, and dig into the Scriptures, praying over every text, and striving to arrive at both the doctrines contained in those texts and their practical applications. Don’t stop preaching and teaching sound doctrine until you die, are too old or sick to preach, or Jesus returns! If pastors are faithful to preach and teach sound doctrine, the rest of what the Bible teaches will be revealed in due time. The full breadth of biblical doctrine will be revealed and laid before the church so that the unconverted can be saved and those who have been born again can be built up in truth. The overwhelming emphasis in the Pastoral Epistles and Acts 20:17-35 on the preaching and teaching of sound doctrine, teaches us that preaching and teaching sound doctrine is the primary duty and activity of corporate worship. Even the words of the songs we sing are to serve that one primary emphasis. Jesus Christ wants to speak to His Bride, the Church, and the only way He can do that is if preachers faithfully preach and teach sound doctrine. Listen to the words of the Apostle Paul who wrote the pastoral epistles and is recorded by Luke in Acts 20:17-35, “We proclaim Him, admonishing every man and teaching every man with all wisdom, so that we may present every man complete in Christ. For this purpose also I labor, striving according to His power, which mightily works within me” (Col. 1:28-29). May your church be known as a local church that preaches and teaches sound doctrine to the glory of God!